Alysa Liu became the first woman ever to land two triple axels in one programme. When you think of figure skating legends, names like Tonya Harding, Jayne Torvill and Christopher Dean spring to mind. Now you can add Alysa Liu to that list. 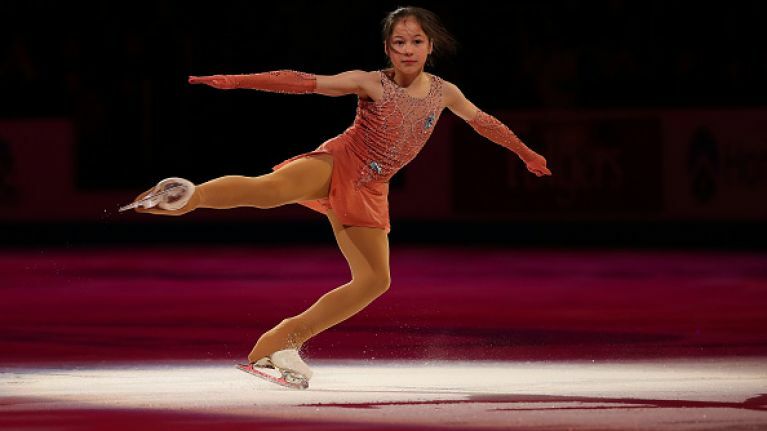 The 13-year-old dominated some worthy opponents at the US figure skating championships on Friday and became the third woman to land a triple axel cleanly at a US nationals after Tonya Harding (1991) and Kimmie Meissner (2005). On Friday, she became the first to land two in a program. Alysa finished with a total of 217.51 points. When her free skate score of 143.62 was revealed the skating star couldn't quite believe it and her reaction was priceless. "I was just happy that I beat my personal record, and I did a clean long program." At under five foot, Alysa is a small but mighty force to be reckoned with. In a moment of exceptional sportswomanship, Tennell and third-place winner Mariah Bell helped the champion climb onto her prime podium position. On the day, Tara Lipinski who previously held the record for youngest U.S. women’s champion, winning the 1997 championship when she was just 14 congratulated Alysa on her win saying, "records were made to be broken." Indeed, the future looks bright for Alysa Liu. By 2022, she will be 16 and able to compete in the Olympics and we're already looking forward to that stellar performance.